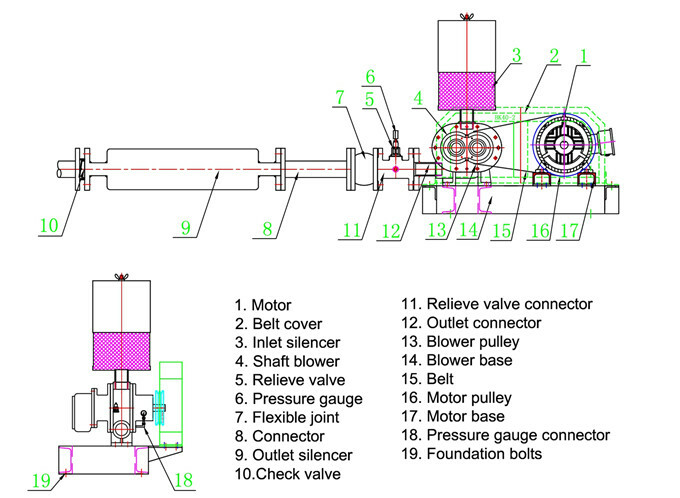 BK-3 series roots blower inherits the design of BK series. It adopts air cooling type and improved rotor curve, which is featured of high efficiency and performance. Also this type blower is of vertical installation type for saving floor space and convenient for maintenance. Optimized lobe curve is adopted for reducing blower’s internal leakage, improving blower’s efficiency and reducing running temperature. After radius-center distance ratio narrowed and shaft’s diameter enlarged, no deformation and collision will occur under higher load pressure as the blower’s strength is improved. Unique hollow design of end-cover is used for making bearing cavity separated from gas chamber relatively, by which reduces the impact of inside high temperature gas on bearing cavity and lowers the bearing temperature. Deep groove ball bearing of high precision and low friction factor is selected for lowering operation noise. In addition, because of larger size bearing matched for enlarged shaft diameter, the bearing’s load capacity is enhanced and its service life is extended. A structure of 90 degree upper inlet and side outlet is adopted for convenient installation and maintenance. Different silencers are available for customers’ needs of saving floor space. 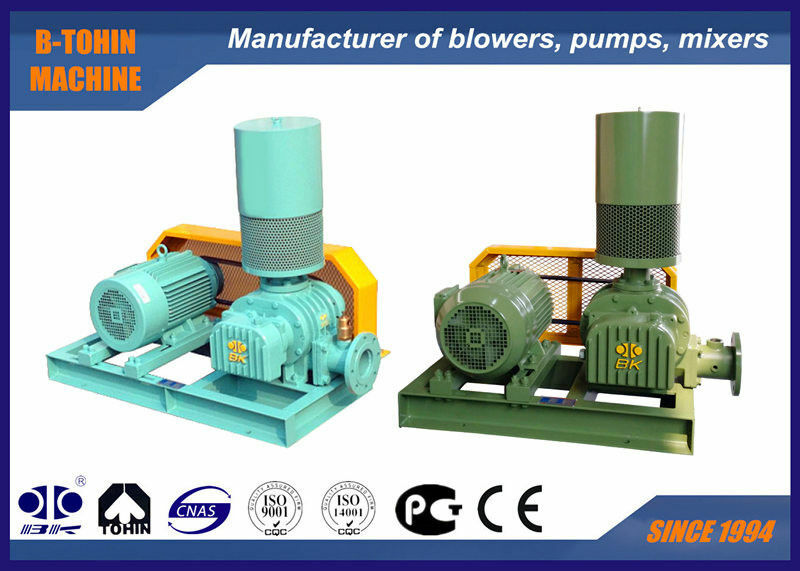 China Good Quality Three Lobe Roots Blower Supplier. Copyright © 2016 - 2019 root-blower.com. All Rights Reserved.